This new study provides the first evidence in humans that a mother’s diet before conception could permanently affect her child’s DNA and lifelong health. Professor Andrew Prentice, Professor of International Nutrition at the London School of Hygiene & Tropical Medicine said: “Our on-going research is yielding strong indications that the methylation machinery can be disrupted by nutrient deficiencies and that this can lead to disease. Our ultimate goal is to define an optimal diet for mothers-to-be that would prevent defects in the methylation process”. Click here to read more. Research from the Allen Institute for Brain Science, recently published in the in the journal Nature, is publicly available and provides insight into diseases like autism that are linked to early brain development. This research shows where different genes are turned on and off during mid-pregnancy. “Knowing where a gene is expressed in the brain can provide powerful clues about what its role is,” says Ed Lein, Investigator at the Allen Institute for Brain Science. Read more here. 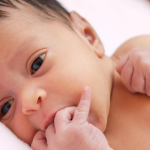 In this study from the University of Washington, researchers examined and tried to connect the association of prenatal risk factors to the cause of certain types of kidney disease (CKD) that may be programmed prenatally. “We hope this research leads to further research on ways to reduce kidney disease through either early treatment or prevention that might begin even before birth,” said Dr. Hsu, lead researcher. More about this study can be found here. 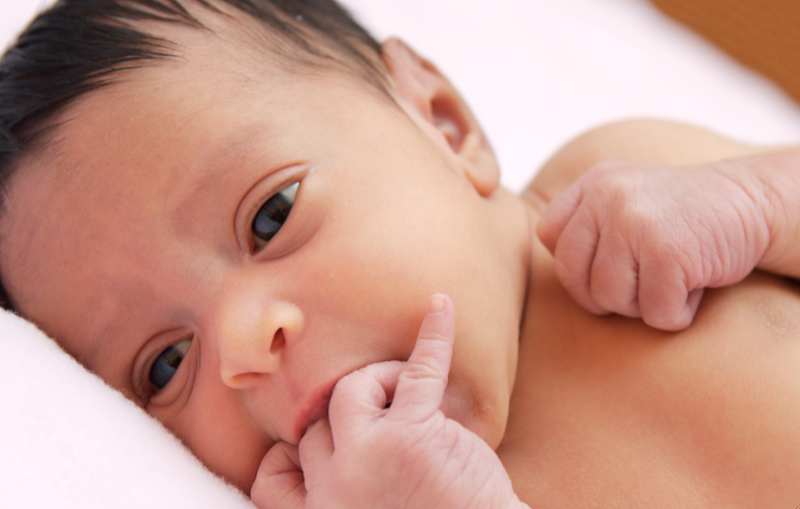 Recent research out of Purdue University takes a look at how touch influences language learning in infants. Amanda Seidl, an associate professor of speech, language and hearing sciences, is the lead researcher on this study. Through her interest in the cues and sources of information that babies may combine to learn their language, she is finding that a caregiver’s touch can help babies find words in the continuous stream of speech. When language was reinforced by aligned touching, babies responded with participation. But babies were not able to use verbal cues in the same way when their own bodies were not touched. Read more about this study here. On Thursday, April 17, Michael Yudin, Acting Assistant Secretary for Special Education and Rehabilitative Services at the U.S. Department of Education (ED) posted on the Department’s Home Room blog about the importance of Early Screening. He used the platform to stress the need for more screening, particularly in low-income, urban and minority communities, where children are screened and offered services at a much lower rate. “ The research suggests that children of color are disproportionately underrepresented in early intervention services and less likely than white children to be diagnosed with developmental delays,” Yudin said. He encouraged blog readers to use ED’s new initiative, Birth to 5: Watch me Thrive! as a support resource to help increase early screening. To read the blog post, click here. This entry was posted in Brain Research, Home, News. Bookmark the permalink. Trackbacks are closed, but you can post a comment.